At DJB Commercial Cleaning, we’re proud to offer professional restaurant cleaning services in Melbourne. Our highly trained and experienced cleaning specialists understood the importance of a clean environment . Over the years, we’ve developed a reputation for unparalleled workmanship, making us the best choice for restaurant cleaning services. You can rely on our dedicated team to deliver results that exceed your expectations. At DJB Commercial Cleaning, we pride ourselves on providing efficient restaurant cleaning in Melbourne. By using the most effective cleaning methods and the latest cleaning equipment, our specialists can clean your restaurant without causing unnecessary delays and costly disruptions. 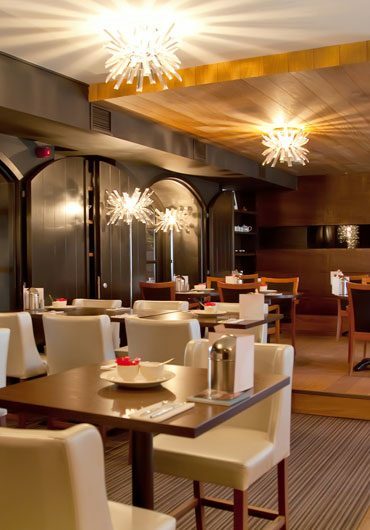 We can help your restaurant maintain an aesthetically pleasing appearance and an inviting atmosphere. Failing to organise regular restaurant cleaning services is a recipe for disaster. Bacteria and other harmful contaminants can propagate quickly on cooking surfaces and utensils, compromising the quality of food products. Patrons can then contract serious health issues such as food poisoning, severely damaging your reputation and success. Additionally, prospective customers are unlikely to even step foot in a restaurant that is visibly unclean. This can cause a significant loss of potential business, which will prove far more costly in the long run. By organising a regular restaurant cleaning service, you can give your restaurant the best possible chance at attracting and retaining as many customers as possible. When it comes to professional restaurant cleaning services in Melbourne, there’s no better choice than DJB Commercial Cleaning. Contact us today to learn more, request a quote or make a booking. Simply call us on 0424 217 336 or send us an email.